When your personal information is lost or stolen, it can lead to identity theft. Identity thieves sometimes use your personal information to file a tax return to claim a tax refund. Then, when you file your own tax return, the IRS will not accept it and will notify you that a return was already filed using your name and social security number. Often, learning that your return was not accepted or receiving a contact from the IRS about a problem with your tax return is the first time you become aware that you're a victim of identity theft. Guard your personal information. Identity thieves can get your personal information in many ways. This includes stealing your wallet or purse, posing as someone who needs information about you, looking through your trash, or stealing information you provide to an unsecured website or in an unencrypted email. Watch out for IRS impersonators. Be aware that the IRS does not initiate contact with taxpayers by email or social media channels to request personal or financial information or notify people of an audit, refund or investigation. Scammers may also use phone calls, faxes, websites or even in-person contacts. If you’re suspicious that it’s not really the IRS contacting you, don’t respond. Visit the Report Phishing web page to see what to do. Protect information on your computer. While preparing your tax return, protect it with a strong password. Once you e-file the return, take it off your hard drive and store it on a CD or flash drive in a safe place, like a lock box or safe. If you use a tax preparer, ask how he or she will protect your information. You were paid wages from an employer where you did not work. If you think you may be at risk for identity theft due to a lost or stolen purse or wallet, questionable credit card activity, an unexpected bad credit report or any other way, contact the IRS Identity Protection Specialized Unit toll-free at 800-908-4490. The IRS will then take steps to secure your tax account. 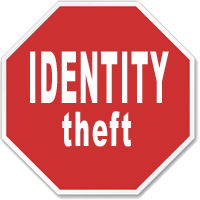 The Federal Trade Commission also has helpful information about reporting identity theft.